…And we discovered Kema track. 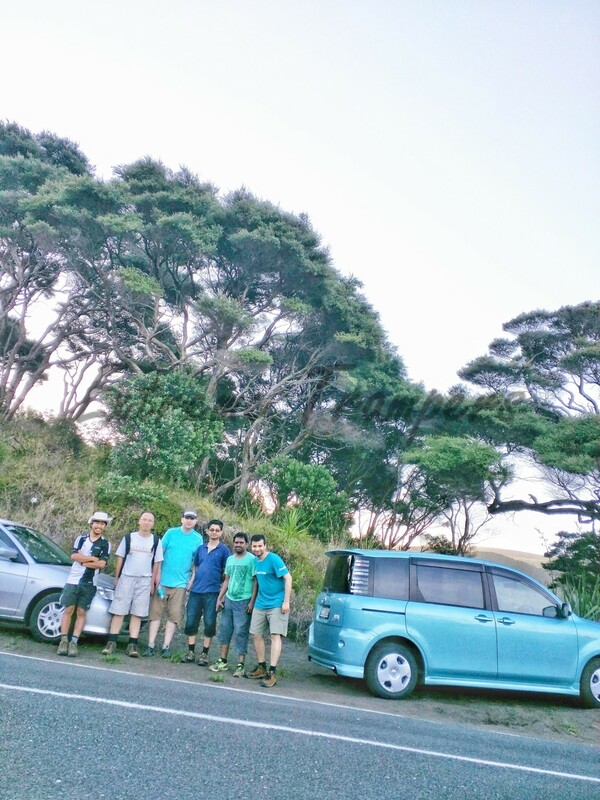 We all met at lake wainamu car park as planned. Kema was first to arrive at the scene and analyse the situation! Others arrived soon thereafter. Everyone was excited. After all it was first tramp of the year and that too after 8 months of wait. There were ex-wex like Nitesh who eagerly wanted to meet everyone after such a long interval and soon to be ex-wex like Sujan who wanted to make last days memorable. So we kicked off our journey towards unknown with Kema and Sujan as first timers while it was second one for Kirill and Bharat. Sand dunes were shining on this sunny day and Bharat got over impressed by the reflecting sand particles (to tell you a secret, he took some of it back home). It was a very lovely view from the top of the sand dunes. 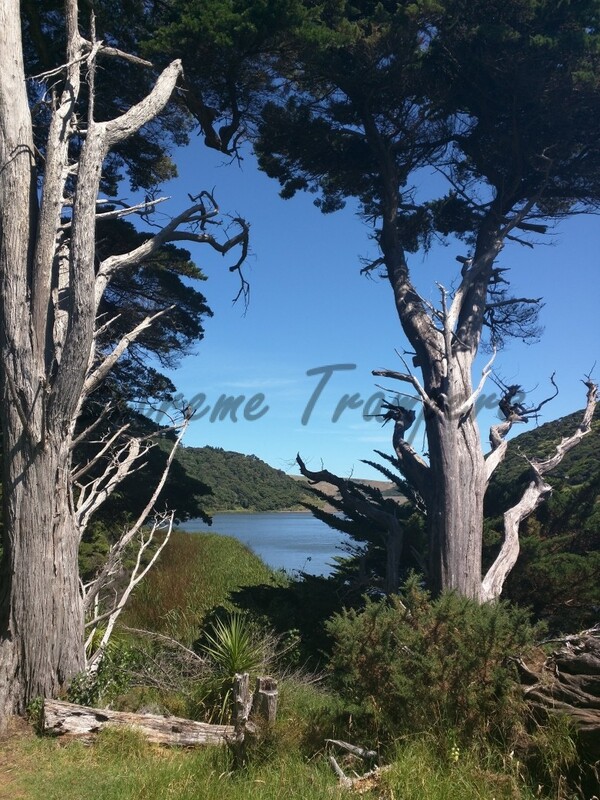 Just after crossing the sand dunes, you reach near beautiful lake wainamu. There were few people already swimming in it. 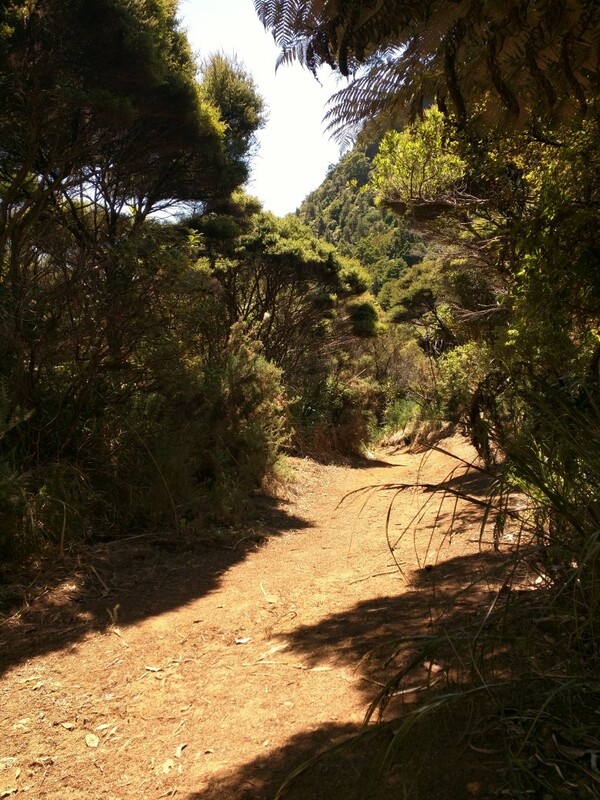 We continued over lake wainamu track and came across few reserves created by mini waterfalls. Sujan jumped into one as soon as he got a chance. We were still thinking of going into lake while returning. 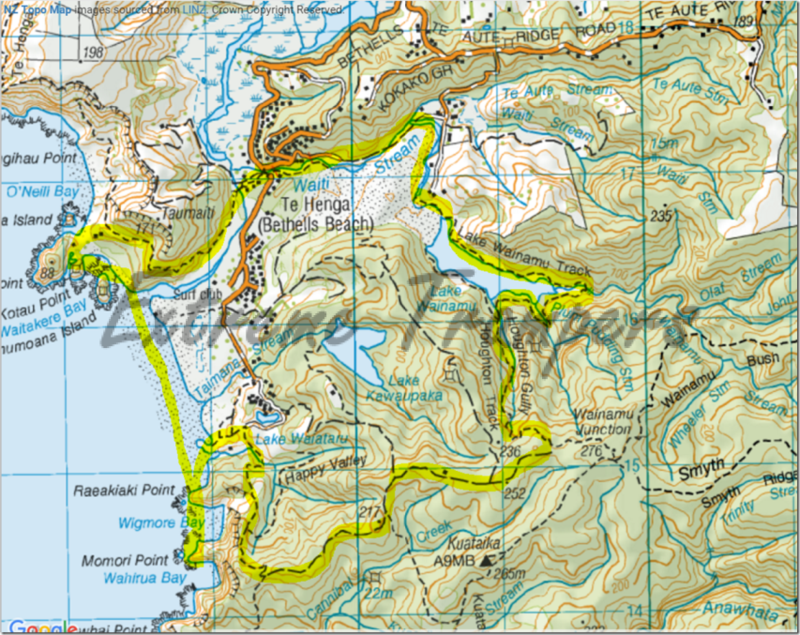 Here we were supposed to continue over houghton track but we took kuataika track by mistake after reaching at wainamu junction and then we continued and continued and continued looking for the track to end since that is where beach was supposed to start (at the end of houghton track). Instead we reached at a farm land with breath taking view. There we realized that we had taken wrong way and we immediately started on our return journey. Most of us had run out of water but thankfully no one panicked. Since this whole journey was guided by Kema with his extreme confidence in matching his OSM map with the topo map printout, a unanimous decision was made to name the track after him as Kema track. 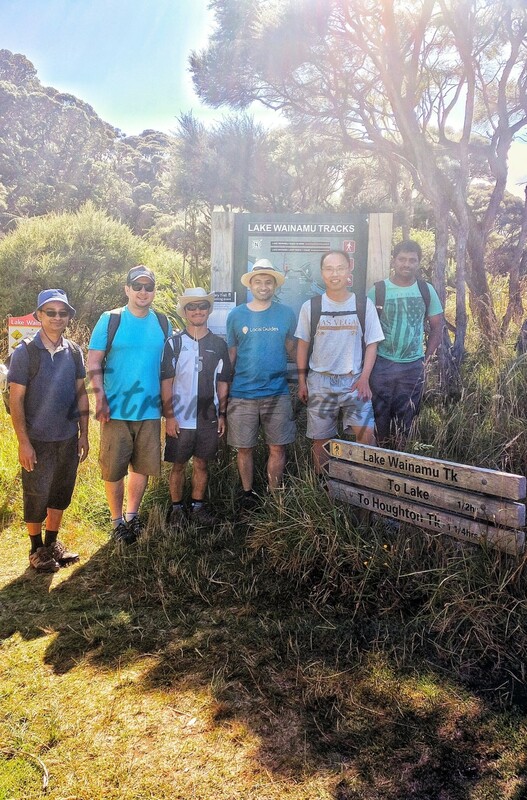 While returning, we confirmed with few runners to realize that we had come all the way wrongly from wainamu junction. So we did our best to return to the junction as soon as possible and then got back on houghton track towards the lake. It hardly took another hour for us to reach lake but it was already 6.15 PM. We rested there for 15-20 minutes.Now either we could go towards beach which was going to be a long way (at least 1.5 to 2 hours) or we could go to car park and look out for water. Second option sounded much better and we reached at car park within 40 minutes and it was 7.15 PM. From there we drove to our meeting point and drank as much liquid as we could! About dip in the lake? We forgot about that God knows when!! We decided to finish what we had planned as part of our next tramp. This one is going to stay in our memories for long long time. This entry was posted in 2016, difficulty level - 4 by Nitesh Gautam. Bookmark the permalink.